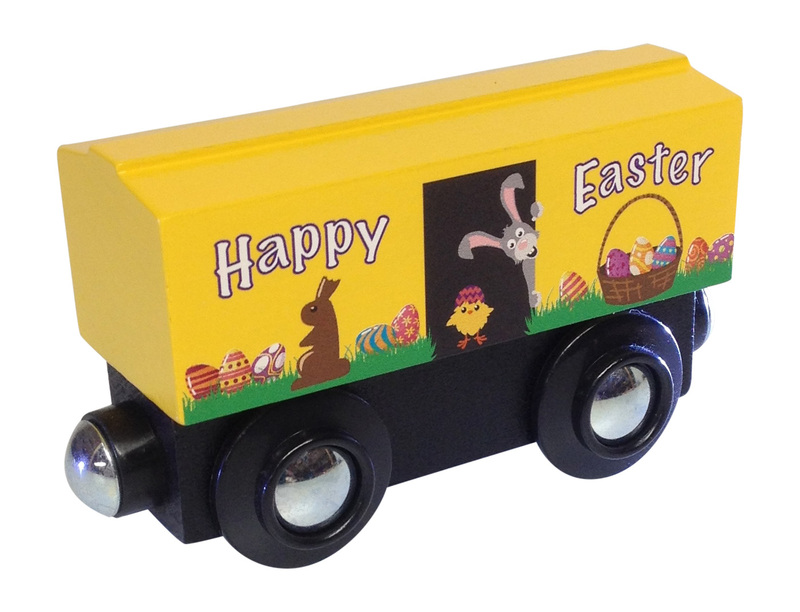 The Easter Bunny and a baby chick peek out of the boxcar door as they head your way to deliver their Easter eggs! Exclusively here! Approx. 3" long.